Anna Mokgokong is one busy woman. A request for an hourlong sit-down was rebuffed by her office. 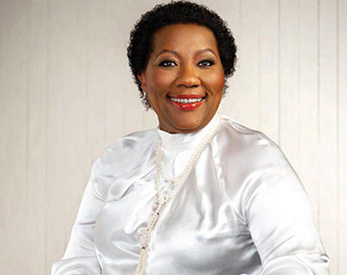 Soweto-born and Swaziland raised Mokgokong (61) is the only black woman in the top 100 City Press Wealth Index, featuring at number 75, with a value of R575 million in shareholding in companies she directs. Yet even as recently as two years ago, Mokgokong - a self-described activist in promoting women in the workplace - lamented about how private companies were slow to transform and empower women to take up leadership roles. She was reported as saying that only 3% of JSE-listed companies were led by women and advised that, although shareholders were not keen to empower women, women needed to be activists in the boardrooms to make it. Mokgokong's entrepreneurial spirit first showed itself in primary school where she traded her sandwiches for cash. "My parent were teachers, however, my father did dabble in selling vegetables. He was not very successful in that. I learnt that my great maternal grandfather was a trader from Scotland. My paternal grandfather was a very successful farmer who used mules to turn the soil", she told City Press in a 2013 interview. She completed a Bachelor of Science at the University of Botswana and her medical degree at Medunsa - where her real entrepreneurial flair came into being. According to her biography in African Success, a database of successful local personalities, it was in 1981 while studying medicine that Mokgokong started a business selling handbags and belts to fellow students and residents at Medunsa. Through a contact in Swaziland, she was given R40 000 worth of stock. The business became a huge success and diversified to include African clothing andcurios. The lectures at medical school reportedly did not like the fact that Mokgokong was running a lucrative business as a student and tried to persuade her to drop her business interests and focus on medicine, because she was one of Medunsa's top-performing students. Undeterred, she continued with her business and by the time she completed her medical degree she was able to sell it for R150 000. Mokgokong used this capital to establish the Hebron Medical Centre in North West, which she built from nothing - and with no clientele - into a primary healthcare and baby welfare clinic with more than 40 000 patients. In 1995 she established Malesa Investment Holdings, a black-empowerment investment group with interests in healthcare, financial service, energy and telecommunications, which later became Community Investment Holdings. Mokgokong serves on the boards of several listed companies. She received numerous local and international accolades as a community and business leader, including the SA Businesswoman of the Year in 1999 and one of the Leading Women Entrepreneurs of the World in 1998. But what's important to Mokgokong is to give back to society. "I invest a great deal of my time in community involvement. I sit on many state-owned boards as a value-add to communities. I also engage in many philanthropic activities. It is a path I walk every day, " she told City Press. "It's not only about giving out money but being the role model and leader that you should be." Mokgokong is married with two children.